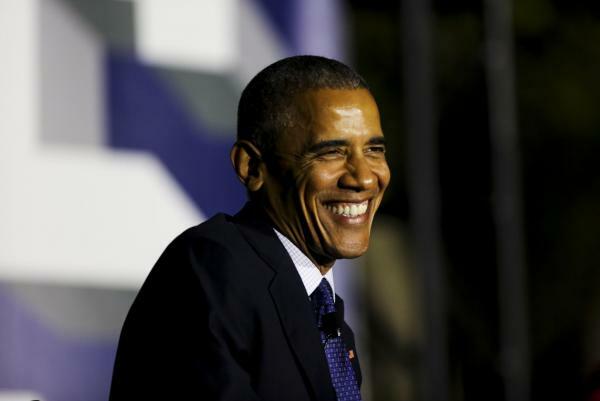 WASHINGTON, Oct. 6 (UPI) — President Barack Obama‘s approval rating stands at 55 percent, matching his best marks since his first year in office, a new CNN/ORC poll found. The poll, released Wednesday, showed Obama’s approval rating currently stands as his highest in his second term, continuing a 50 percent or higher approval rating that began in February. The seven-month run is his longest since he took office in 2009. His average approval rating in 2016 to date is 51 percent. One year ago, Obama’s approval rating was some 10 percent lower. The boost crosses age and gender barriers and is from all geographic regions of the country, CNN said. There are partisan and racial divides, the poll found. His approval rating since September 2015 is up 12 points to 89 percent among Democrats and 14 points among independents to 56 percent. Among Republicans, it stands at 13 percent, from 11 percent a year ago. Among black voters his approval rating is 86 percent. It stands at 68 percent among Hispanics. “Obama’s approval rating is well above President George W. Bush‘s numbers at this point in his term in office, and about on par with Ronald Reagan‘s numbers at this time in 1988,” CNN reported. The telephone poll was conducted Sept. 28 through Oct. 2 among a random national sample of 1,501 adults. The margin of sampling error is 2.5 percentage points.